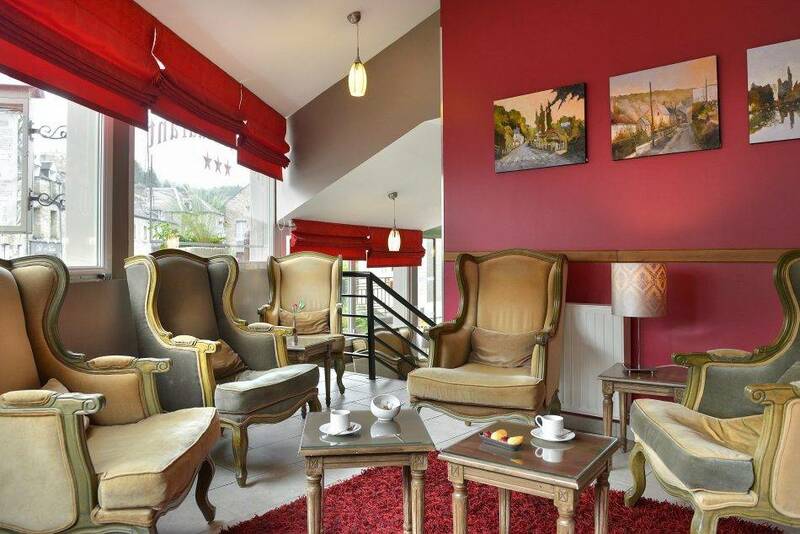 Welcome to the Hotel-Restaurant “ Normandy Site “, a charming hotel in Normandy, located just 45 minutes from Caen. 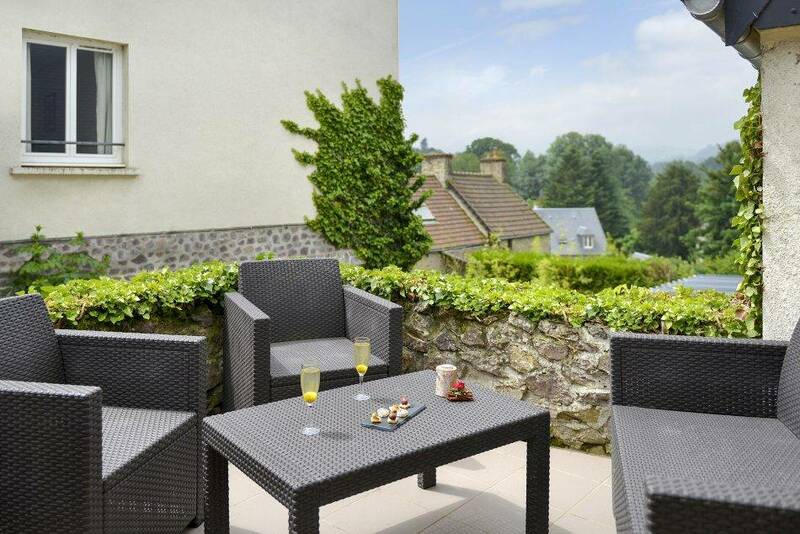 Travel in the heart of Normandy landscapes by reserving one of our rooms. 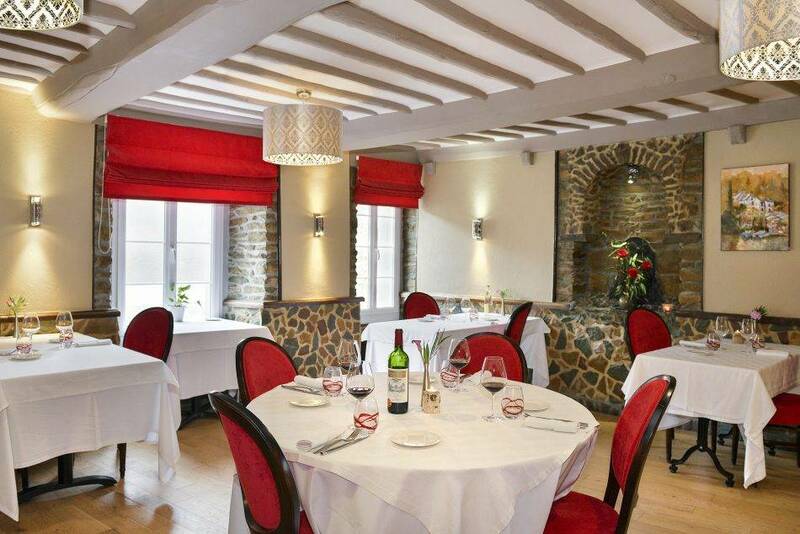 Our hotel-restaurant is located in the village of Clécy, capital of the Suisse Normande, 10 km from Condé sur Noireau and 10 km from Thury-Harcourt. Discover the tourist center of Clécy and its surroundings! Character building of the 18th century located in the site classified in the Suisse Normande in Clecy which is the capital and for a few weeks Village of Character . 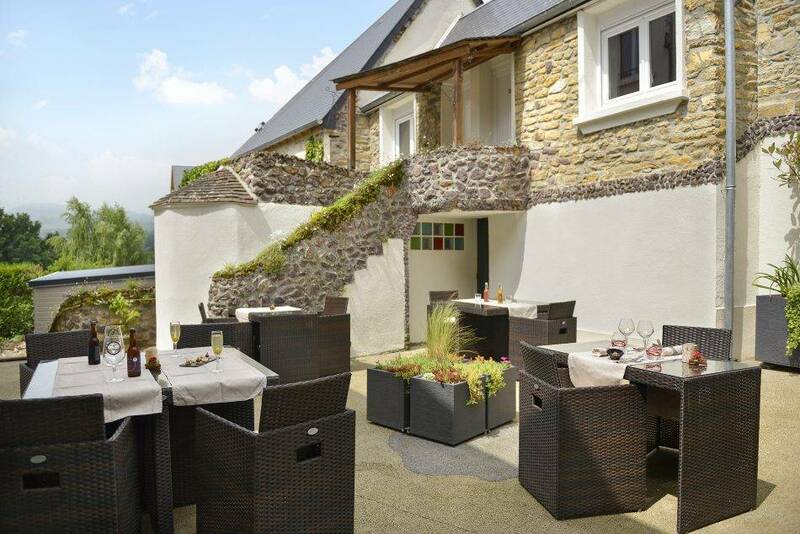 Our charming hotel in Normandy has 18 contemporary rooms comfortably nestled in lush greenery. Each room is composed of a private bathroom, a welcome tray, a safe and a desk. Our rooms are harmonious and elegant. All equipped, they offer free wifi, flat screen TV, desk and hydration (tea and coffee). Some of our rooms can overlook the garden, allowing you to rest in peace. We also have superior rooms with a balcony and a seating area to better enjoy the beautiful Norman weather. Finally, our charming hotel has a free parking nearby. We accept pets for a fee. In addition, the hotel has a very friendly restaurant, a lounge and a patio to spend pleasant moments with family or friends. 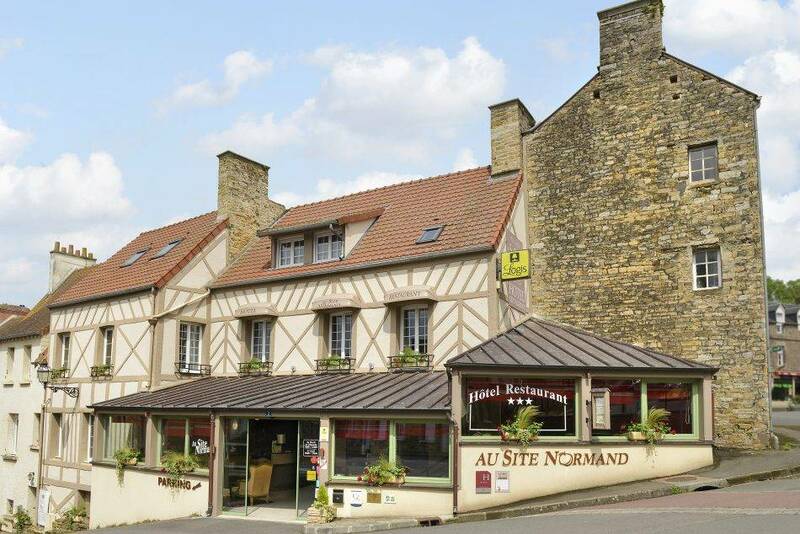 We wish you a pleasant stay in the Hotel Au Site Normand! At the beginning of the 1910s , Mr. Henri and Mrs. Chauffray created this hotel-restaurant. They held it until 1955 with the help of their daughter-in-law, Berthe, remarried with a local distiller (Calvados distiller) Raphael Bisson. In 1955, Janine Chauffray married Guy Helix and together they took over the restaurant until 1979 . It’s the 3rd generation. 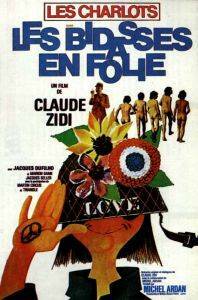 In 1971, “les Charlots” “come to shoot an episode of the famous movie” LES BIDASSES EN FOLIE “in this charming hotel in Normandy. Guy Helix, the boss, plays the role of a customer of the hotel. The ceiling of the restaurant will keep the traces of the agitated passage of the actors for a long time.